Guaranteed to please! 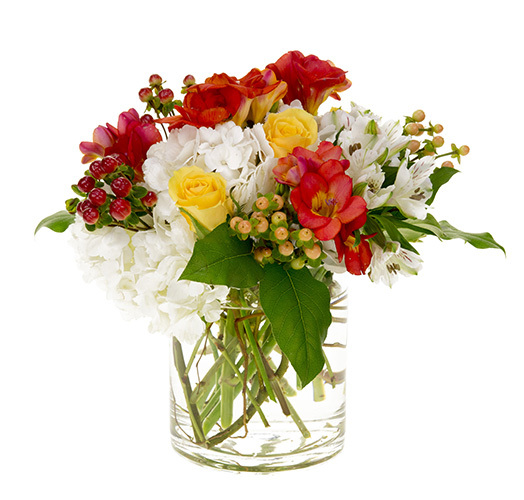 This design of vibrant and fragrant Freesia and Roses are combined with cool white garden flowers in a contemporary glass cylinder. Approximate size: 10” h x 10” w.